The Rare Breed Survival Trust has five criteria for rare breed Pigs, based upon how many registered breeding females (called sows) are left. This criteria varies for each type of animal. Vulnerable: between 200-300 breeding sows remaining. 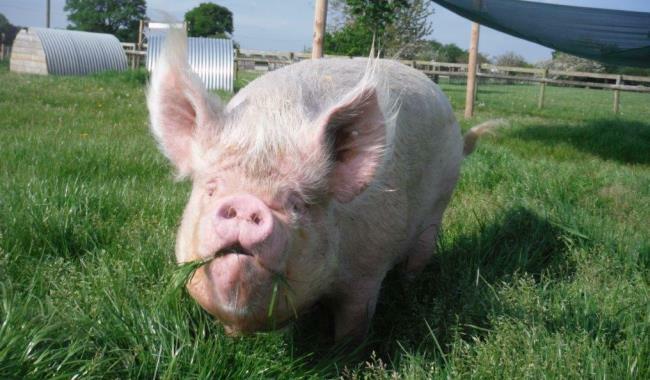 The Tamworth pig was bred in the Midlands, originating from crossing imported pigs such as the Red Barbadan or Axford. What makes the Tamworth Pig so special? The Tamworth pig has an attractive red-gold colour. They have a long snout and pricked ears. 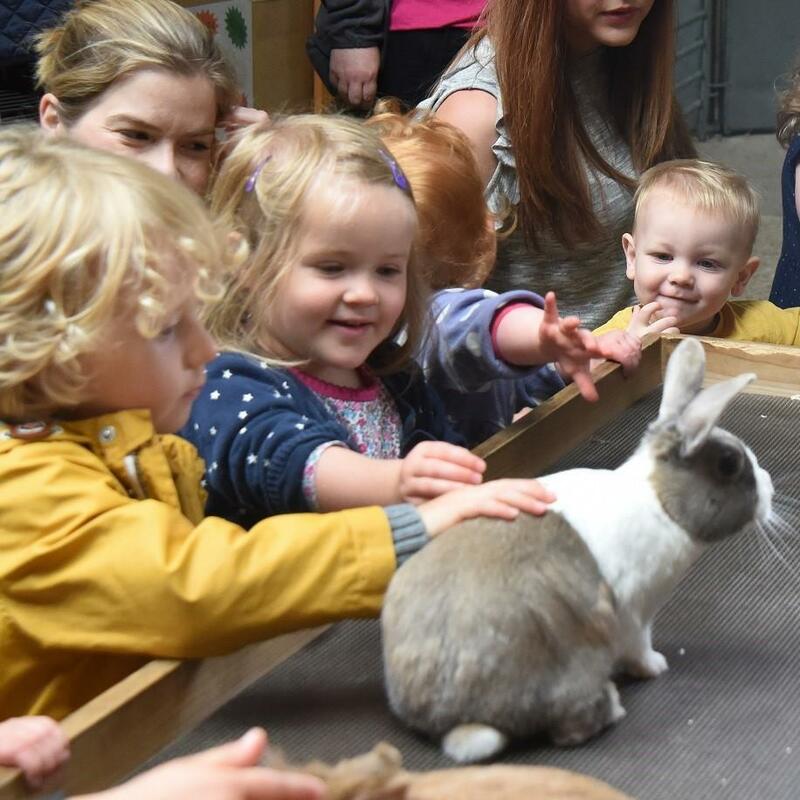 They are very adaptable to a wide range of conditions, from the humidity and heat of South East Asia to the cold areas of Britain and they love living in woods and foraging. Endangered: between 100-200 breeding sows remaining. The Middle White Breed was established in 1852 by Mr Joseph Tulley, a weaver from Keighley in Yorkshire. At the Keighley Agricultural Show in 1852 there were classes for Large Whites and Small Whites. However, Mr Tulley exhibited pigs that were a cross between the Large White and Small White breeds and the judge considered the pigs to be not big enough to compete with the Large Whites and too big to compete with the Small Whites. However he believed the pigs to be of such excellent quality that a meeting was called and a new section was introduced and named the Middle White Breed. What makes the Middle White Pig so special? The Middle White Pig is all white with thin skin and a fine coat. It has prick ears and is easily distinguished from other breeds by its short “dished” face and turned up snout. The Middle White is docile and easily managed and is less inclined to root or damage fencing when kept outdoors. 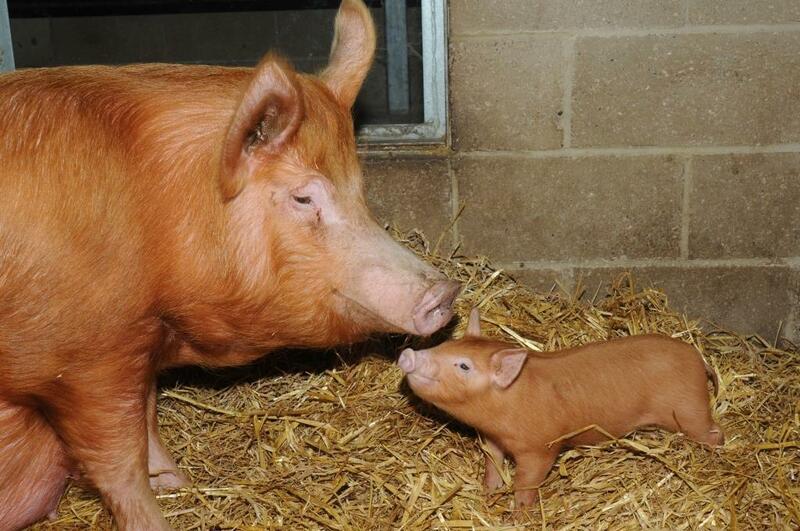 The sow is an excellent, milk-yielding mother, being extremely caring of her young, yet placid and easy to handle. Berkshire Pigs were discovered in Britain in the 17th Century and they are the oldest recorded pedigree pig breed in Britain. What makes the Berkshire Pig so special? Berkshire Pigs are easy to identify. They are all black with white ‘socks’, white tail and a white mark on the face. 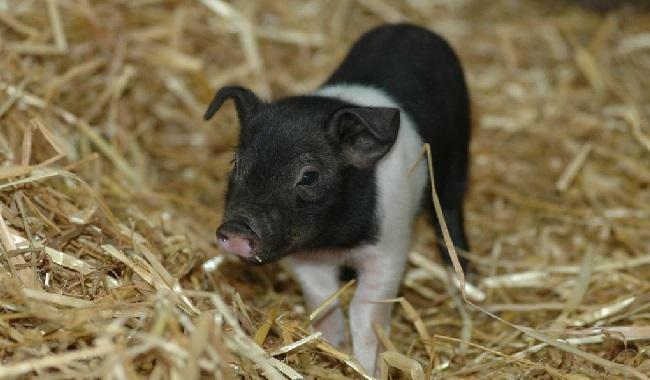 They have prick ears and a “dished” face – similar to the Middle White Pig – and are short and compact. At Risk: between 300-500 breeding sows remaining. The British Saddleback Pig is a combination of 2 breeds of pig – the Wessex Saddleback and the Essex Pig. The breed was formed rather recently in 1967 and they are becoming a more popular breed that can now be found around the country. What makes the British Saddleback Pig so special? These are one of the easiest types of pig to recognise. They are a large, lop-eared breed that have a black body with a white band around the saddle and on the front legs. Did you know that pigs don’t actually sweat? They like to bathe in water or mud to keep themselves cool. 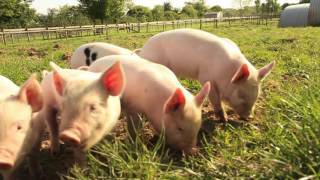 Originating from the Berkeley Vale on the south of the River Severn, these pigs are a native British breed. They were frequently kept in orchards earning the nickname “The Orchard Pig” and there is a legend that says their black spots are actually bruises from falling apples! What makes the Gloucestershire Old Spot Pig so special? 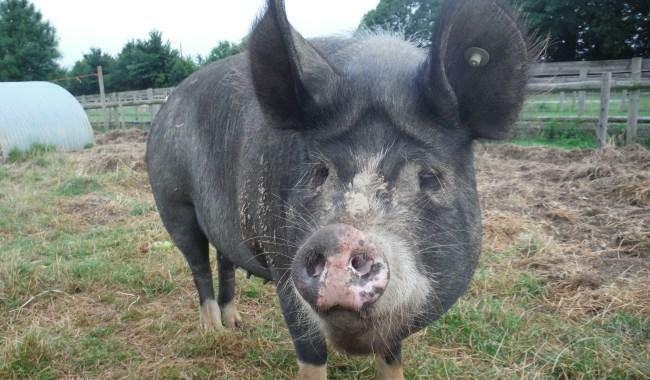 The Gloucestershire Old Spot is a very gentle natured pig and are known for having good maternal instincts. 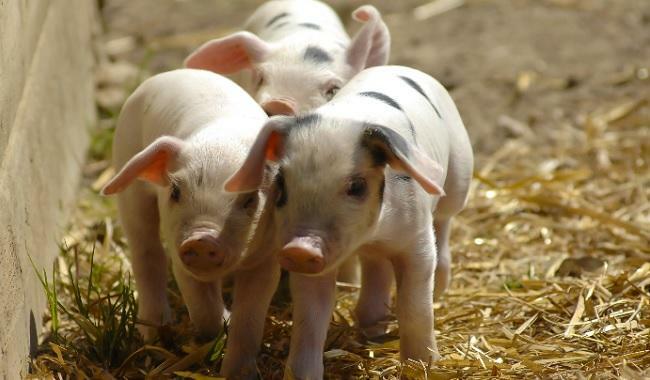 They are broad pigs, that are white in colour with very distinctive black spots and lop ears.